Short sleeved graphic tee. 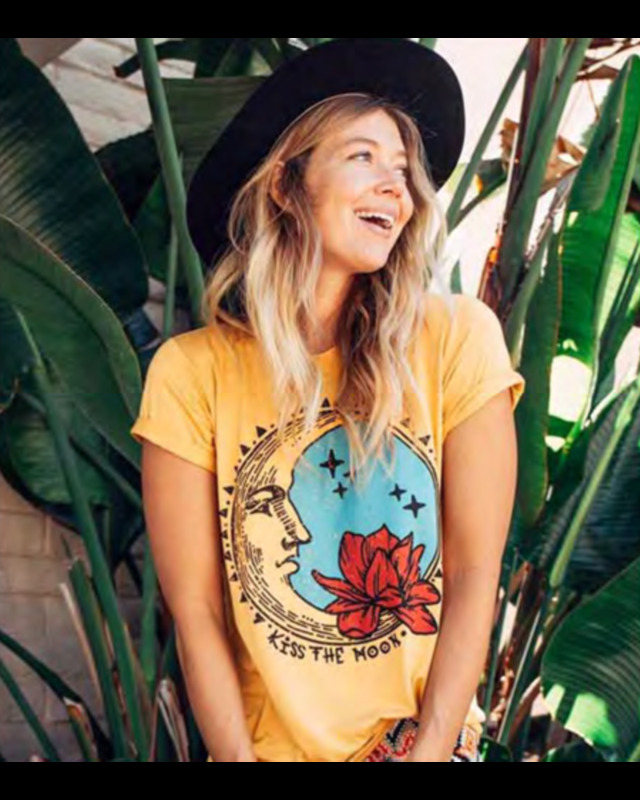 Super soft mustard tee with a cute Kiss the Moon graphic design. 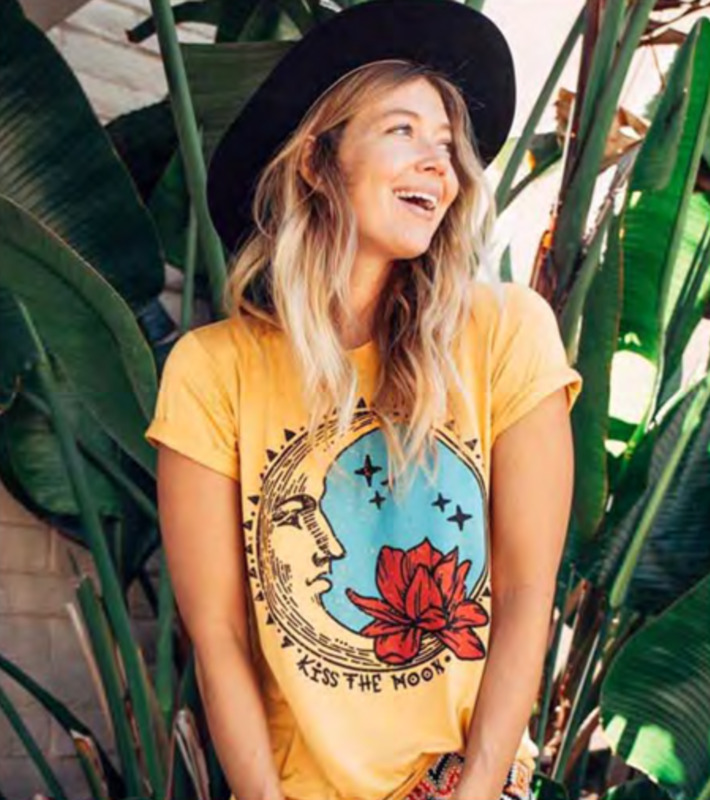 Bright happy colors, reat for that boho look!